School is almost out at Oakridge Elementary School, but the verdict is already in: Kids who move more, learn better. That's the consensus of teachers, parents and pupils after a one-year pilot program that introduced active classroom furniture into the Arlington, Virginia, school. Pedal desks, standing balance desks, and kid-sized ball chairs kept students moving while they learned. The results were remarkable. "Some of the behaviors that teachers noticed increase were time on task, cooperation with each other, having an opportunity to sit and read for longer periods of time, complete worksheets or hands-on assignments without touching or wiggling or being disruptive to the learning community," said Oakridge Principal Lynne Wright. This study confirms the research of our founder, Dr. Julian Reed. Active kids learn better. Looking for more information? 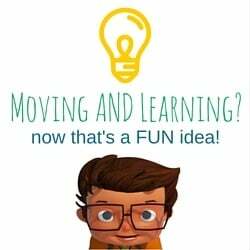 Download our free ebook, Move to Learn: Exploring the Benefits of Movement in the Classroom.